A group of students of Social work in community organizing took part in the activities of the “Service learning for inclusive communities organizing” project in winter semester of the 2018/19 teaching year. – communication with interested public and transfer of knowledge to other community stakeholders. As the main results of this service learning process, students and their mentors from civil society organizations, organized on 11 December in Sisak and Hrvatska Kostajnica four inclusive activities, in cooperation with The Association of persons with visual impairments of Sisak-Moslavina County, the Gymnasium Sisak, the volunteers of the Red Cross Society of Sisak, the Social Centre in Hrvatska Kostajnica, the Red Cross Society of Hrvatska Kostajnica, the City of Hrvatska Kostajnica and other stakeholders in local communities. 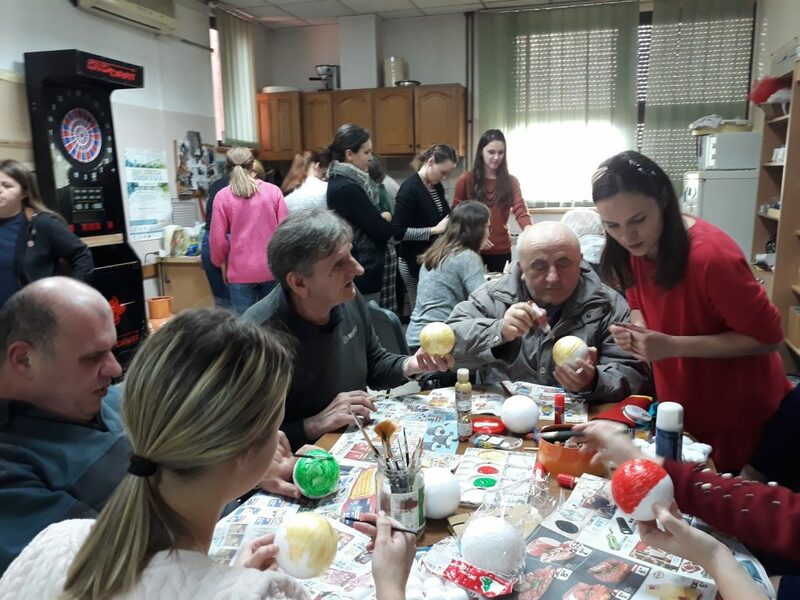 Creative and entertainment workshops were organized in the Day Centre for persons with visual impairment and in Community Centre for persons with disability in Hrvatska Kostajnica, with participation of Red Cross volunteers. Sensibilization and education of students of Gymnasium Sisak is organized, to help them understand obstacles and challenges persons with visual impairments face and how to assist them to move freely and be independent. 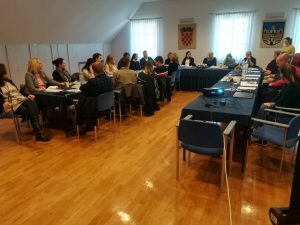 In Hrvatska Kostajnica, students organized a cross-border conference on challenges and social services for persons with disabilities, in cooperation with City of Hrvatska Kostajnica and Social Centre in Hrvatska Kostajnica. Experts and interested public from both sides of the border, from Croatia and from Bosnia and Herzegovina took part in this conference. This was a piloting phase of the “Service learning for inclusive communities organizing” module which should become a part of the teaching curriculum for social work students. The project “Service learning for inclusive communities organizing” is co-financed by European Union from the European Social Fund, and by Office for cooperation with CSOs of the Government of Republic of Croatia.